Baby skin is sensitive, sometimes spotty and always awaiting our protection. Because babies don’t arrive with a user’s manual, we’ve helpfully collated this bunch of need-to-know facts. Not only are we about to set you and your bub in good stead for a lifetime of excellent skincare, we’re getting a little science-y, which might be right up your inquisitive alley! Your baby arrives in the world perfectly coated in nature’s waxy protective film – vernix! Experts suggest you massage remaining vernix into your baby’s skin, rather than wiping it off, as it’s loaded with valuable lipids, amino acids, proteins, anti-bacterial and anti-microbial compounds. 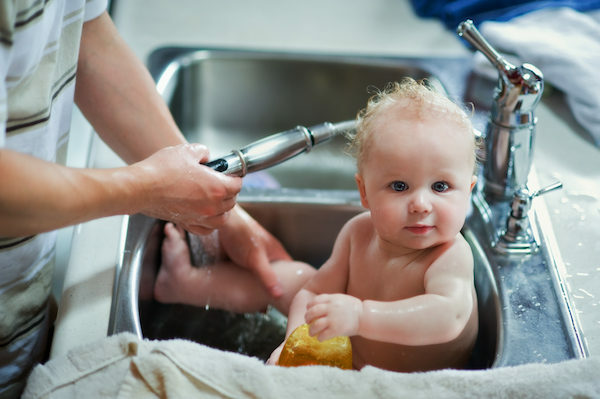 Parents are also advised to hold off that first bath until 24 hours after their baby is born, to make the most of a baby’s natural defences and promote better bonding. 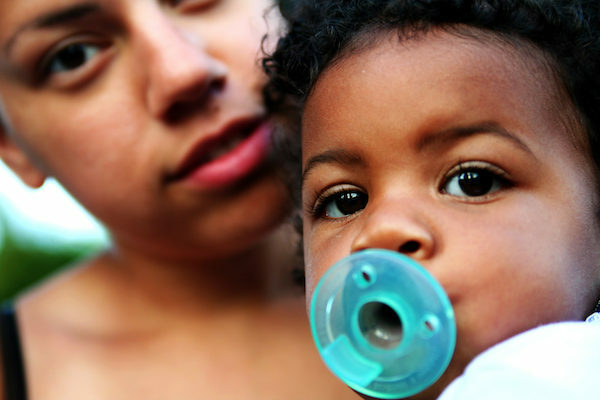 Often far from peachy, your baby’s skin is an ever-changing canvas for rashes, bumps and blemishes. From as early as a few days old, many babies develop rashes as they get used to their new out-of-utero environment. Most of these lumpy, bumpy situations will resolve themselves pretty quickly, but if you’re worried have a chat to your Maternal Child Heath Nurse or GP. A mother’s hormones affect her baby in those very early days, and even beyond, if she’s breastfeeding. Sometimes pimples or baby acne develop on your baby’s face and it’s thought that lingering maternal hormones are responsible for these spots. Keep your baby’s skin clean and dry and these pimples should disappear by their third month. The experts recommend bathing babies with gentle, baby-friendly products and using a good quality moisturiser each day. Be sure to choose gentle fabrics for your baby’s clothing and bedding too. Babies are still developing the brown pigment – called melanin – in their skin, so they’re much more prone to sun damage or sunburn. This is why it’s especially important to keep littlies out of the sun from day dot. As children grow older, this protective melanin develops, so they’re better armed to fight off those powerful UV rays. Keep up the sun-smart behaviour though. Vigilance is a must. 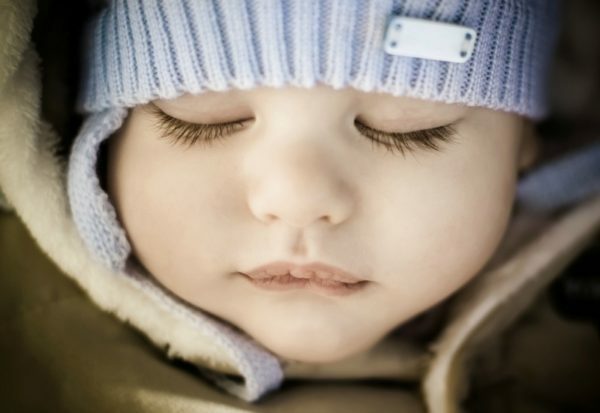 Your baby’s skin will never be as soft or as sensitive as it is in those early days. In utero, your baby’s been snuggled up, vernix-covered and nicely moisturised, away from the elements. Once they’re born, skin begins to “toughen up” and get rougher as it’s exposed to the sun and day-to-day life. Newborns also have a variety of skin woes that make them extra sensitive (and extra special!). Tiny white spots called milia, a red spotty rash called erythema toxicum, eczema and baby acne are just a few of the pesky but common conditions your baby might deal with in the early weeks and months. Again, if you’re concerned about your baby’s skin, your child health nurse or GP can give you further helpful advice. You really don’t need to bathe your baby every day, especially if you’re navigating the chilly depths of winter. A top-and-tail every second day, alternating with a “proper” bath, would do just as well. A product like Cetaphil’s Baby Moisturising Bath & Wash is a perfect – and gentle – choice for those bath days. Remember to have all your baby’s supplies on hand for minimal getting-dressed fuss, and always check the water temperature before you bathe your bub (especially if you are tired!). You could also consider a post-bath massage if your little one seems warm and content. Cetaphil’s Baby Massage Oil would be a great addition to those evenings. And if you were wondering why your baby’s skin smells so gosh-darned amazing, the answer is that it’s expertly designed to activate the brain’s pleasure centres – and give parents who breathe it in a dose of the feel-good hormone, dopamine. Babies are clever little tricksters, right? !